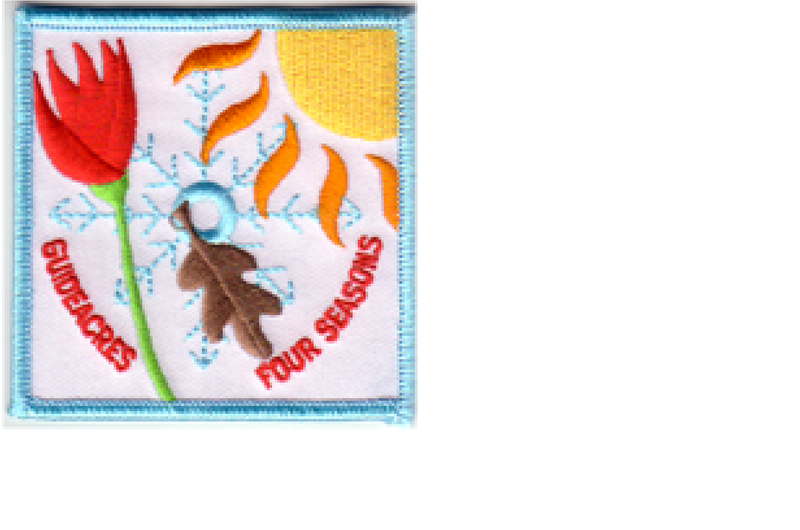 A special badge is available to anyone who takes part in an event at Guideacres during each of the four seasons. County, division, district and unit events all count. The event can be a sleepover, a camp or a day or evening visit. All that is required is that you take part in an outdoor activity appropriate to the season.